Noah Hawley’s new “X-Men, kind of” FX series Legion has started lining up cast members for its gritty, psychological take on people in leather costumes hitting each other with beams that shoot out of their eyes. Downton Abbey star Dan Stevens will take on the lead role of David, a diagnosed schizophrenic “trying to find his way back to sanity.” And while FX is being super coy about the show’s connections to its comic book roots, David is pretty clearly intended to be David Haller (a.k.a. Legion), the reality warping, universe-threatening son of Professor X, whose powers are limited only by his fractured mental state. 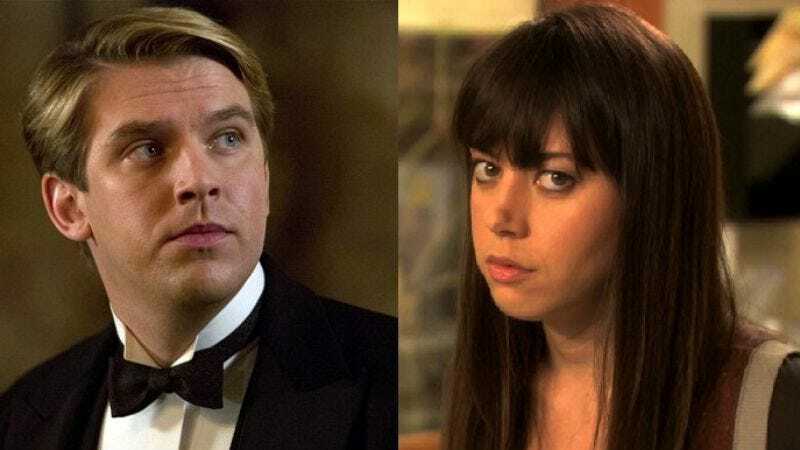 Stevens will be joined by Parks And Recreations’ Aubrey Plaza, cast against type as David’s optimistic friend Lenny, an addict who “knows her life will soon turn around.” Does that confidence stem from precognitive visions, which might make her the show’s version of mutant soothsayer Destiny, a major player in Legion’s backstory? Or did she just stumble onto a copy of The Secret? It remains, so far, unclear. Variety is also reporting that Hawley will be reuniting on the series with Fargo alum Jean Smart, who’ll be playing a therapist who nurtures David’s recovery. (Or maybe she’s just a figment of his imagination, given that Haller’s Legion codename derives from the multiple personalities that live inside his head.) Smart is the second Fargo cast member to make her way to the new series; her Minnesotan-noir granddaughter Rachel Keller joined the show back in January. Production on Legion is set to begin in March, at which point Hawley’s apparent vow to make a Marvel TV show without using the words “mutant,” “superpower,” or “magic” will presumably be tested to their rapidly straining limits.